The U.S. 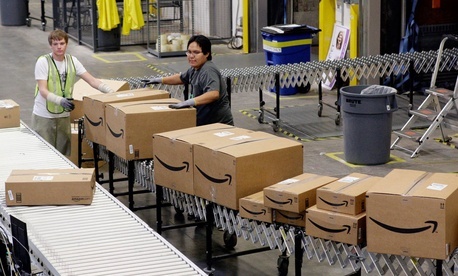 Postal Service has struck a deal with Amazon to deliver the site's packages on Sunday. The deal has advantages for both sides. While the Postal Service operated at a loss of $16 billion last year, package deliveries are still a profitable sector of their business, and for Amazon, quicker deliveries mean happier customers. The USPS's main competitors, UPS and FedEx, do not currently deliver on Sundays. The new policy takes effect immediately, clearly timed to coincide with the holiday shopping rush, although the service is only available to the New York and Los Angeles areas at this time. The plan is to expand to more areas next year.